Built over the thermal springs in the Graubünden Canton in Switzerland, Therme Vals is a hotel and spa in one which combines a complete sensory experience designed by Peter Zumthor. 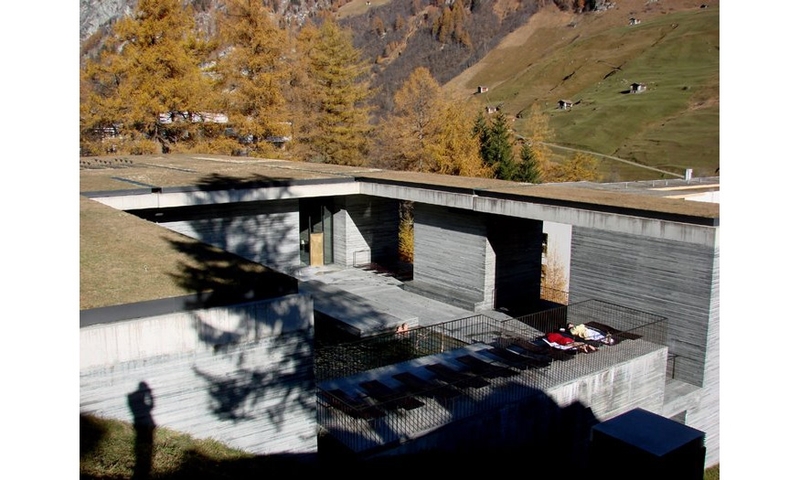 Therme Vals is built from layer upon layer of locally quarried Valser quartzite slabs. This space was designed for visitors to luxuriate and rediscover the ancient benefits of bathing. The combinations of light and shade, open and enclosed spaces and linear elements make for a highly sensuous and restorative experience.